Receiving regular gossipy dispatches from behind the scenes at the White House is one of the few silver linings of the Trump administration. But the latest leak is too scary to be any fun. NBC News reports that during a July 19 meeting in the situation room with his top national security advisers, President Trump repeatedly suggested that General John Nicholson, commander of the U.S. forces in Afghanistan, should be replaced because we’re not winning the 16-year war. He also asked about the U.S. taking Afghanistan’s minerals, and suggested he wasn’t getting good advice from top military officials. The ‘21’ Club, which has been one of Trump’s favorite New York spots, closed for two months in 1987 while it underwent a full renovation and reopened to great fanfare. 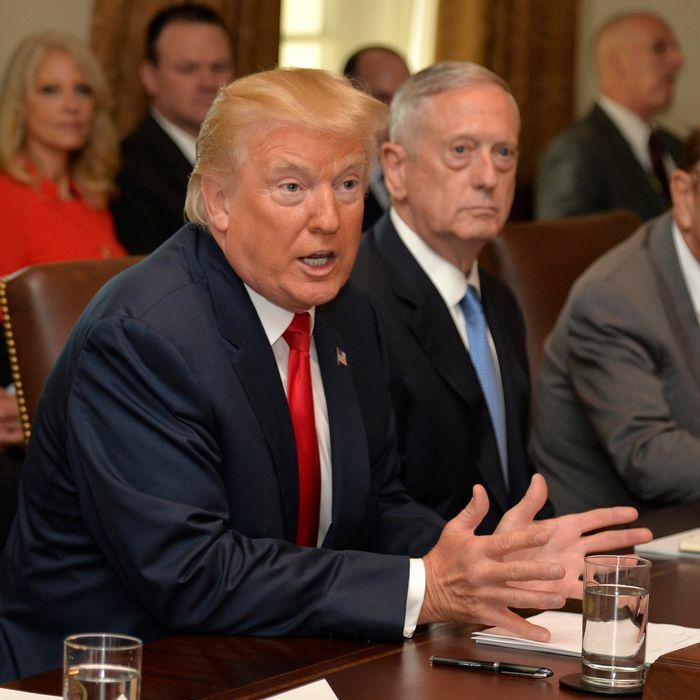 But Trump was not happy with any of the options presented to him, and the military commanders’ new authority to make tactical decisions isn’t very useful if there’s no larger strategy in place. Mattis and Chairman of the Joint Chiefs of Staff General Joseph Dunford reportedly defended General Nicholson, who Trump has never met, during the meeting. In an interview with MSNBC on Wednesday, National Security Adviser H.R. McMaster claimed he “absolutely” has the confidence of the president. Mr. Trump, according to several administration officials, has been considering a shake-up that could include appointing Mike Pompeo, the C.I.A. director, to take over as national security adviser, while sending General McMaster to command forces in Afghanistan. Such a move could earn General McMaster a fourth star. According to Politico, McMaster has been trying to sell Trump on an Afghanistan plan for months, but seems “out of sync with his mercurial president.” Sending McMaster to deal with the Afghanistan situation himself is one very Trumpian solution to the problem.